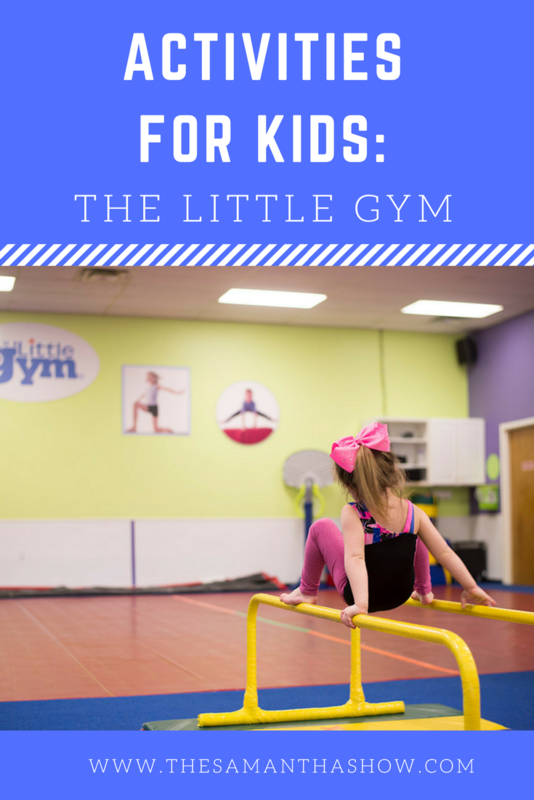 This is a sponsored post in partnership with The Little Gym and The Motherhood. All opinions are my own. My kids have always been involved in some sort of extra-curricular activity. I want them to be able to try a ton of different things and then decide for themselves what they like best. 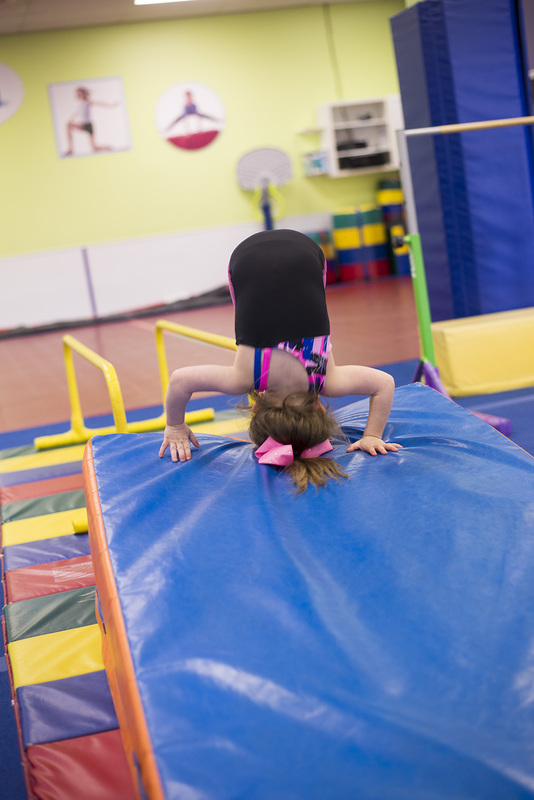 When we moved back to Ohio, my daughter decided she wanted to take a break from dance and do gymnastics. And while researching different options, we decided to give The Little Gym a try! 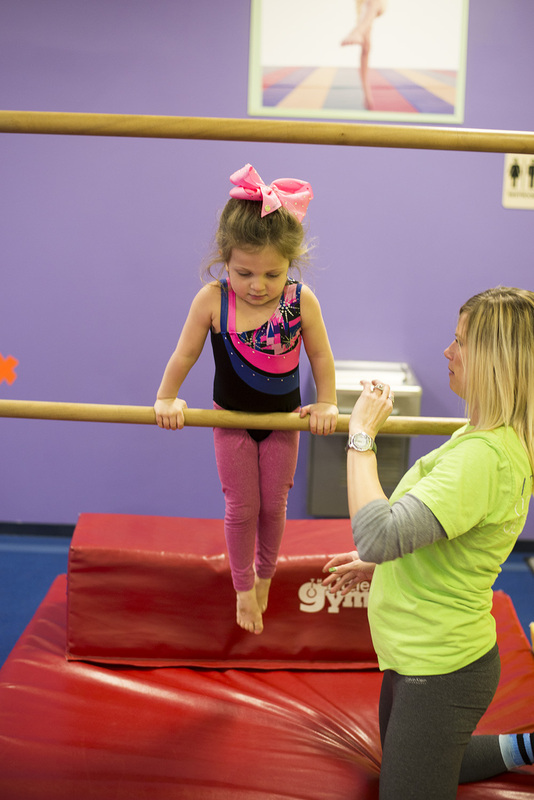 I loved so many things about The Little Gym and for us, it was an easy decision to enroll in a class. I loved that they allowed them to be kids; kids lose their attention spans quickly and they are constantly moving and switching stations. It’s not just a bunch of information thrown at them while they sit and wait their turn. They break into small groups and really get own one-on-one attention. 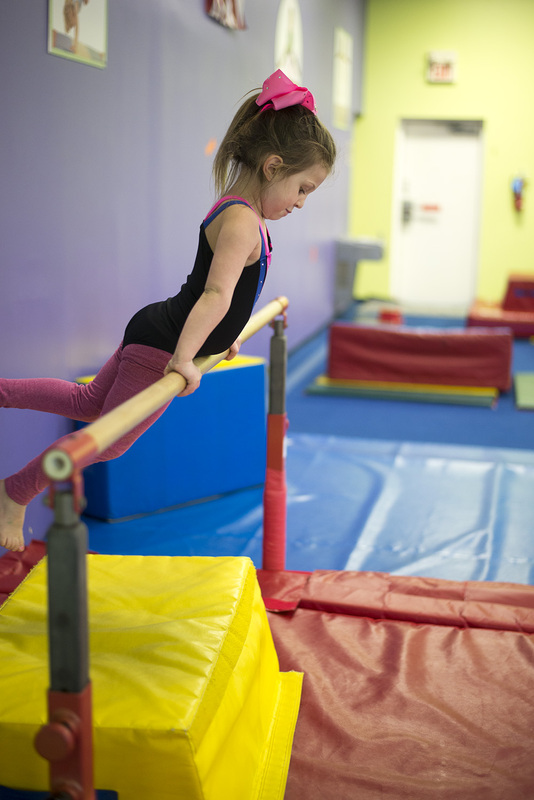 The classes are a mix of gymnastic skills, songs, dances, educational lessons, and more. They call it “Three-Dimensional Learning” and it includes concepts such as “Get Moving”, “Brain Boost”, and “Citizen Kid”. 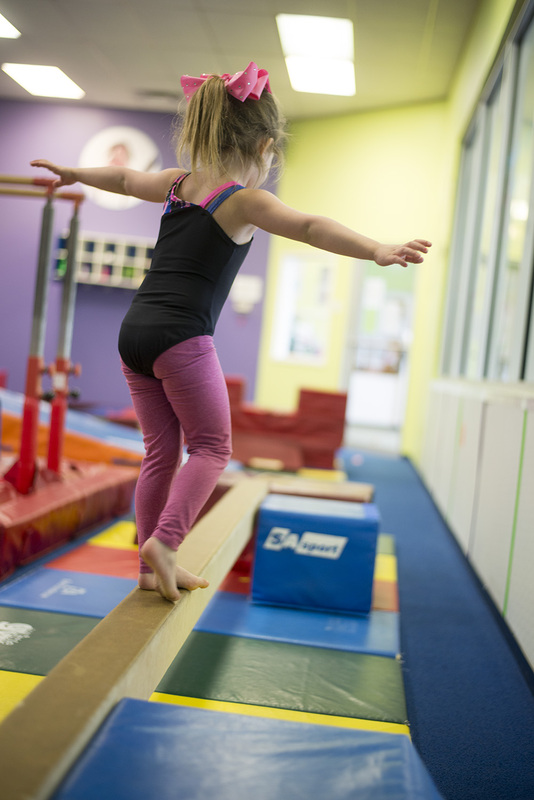 Developing flexibility, strength, balance and coordination through varied physical activities. Nurturing listening skills, concentration and decision-making that benefits your child well beyond the gym. Promoting sharing, teamwork, cooperation and leadership through spending time with your kid’s friends and peers. It’s been such a great experience for my daughter and she looks forward to attending class every week. Not only does she get her scheduled weekly class, she’s also able to attend a bonus class and we try to do that every week as well. So she gets TWO classes a week! 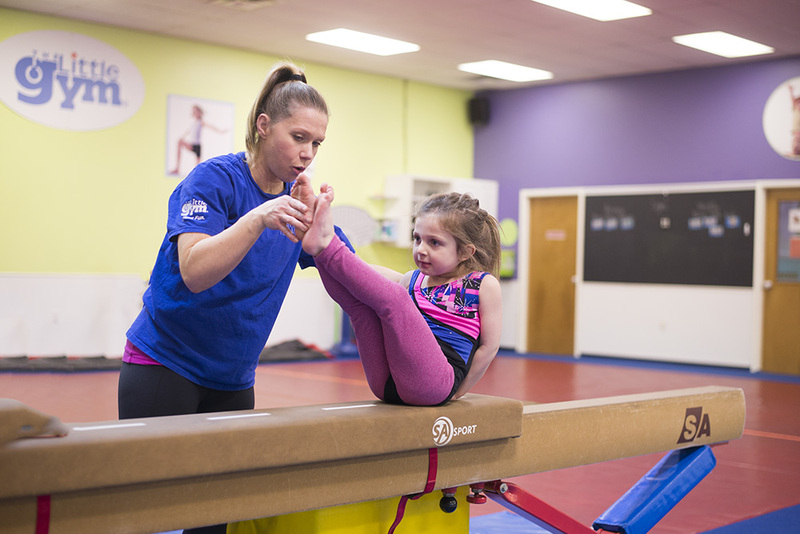 The Little Gym offers unique, educational, movement-based classes for children 4 months through 12 years. In addition to classes they also have camps, Parents Survival Nights, and birthday parties! We absolutely love the instructors and it’s always the most warm welcome when we walk in the door every week. They truly get to know each of the kids and cater to their skill level and needs. I cannot say enough good things about this place! But don’t just take my word for it! Check the website for the nearest gym near you and head in to check it out for yourselves! We look forward to our time there every week and I love seeing my daughter so passionate about something. Nothing makes my heart happier than watching her learn, grown, and have fun while doing it! 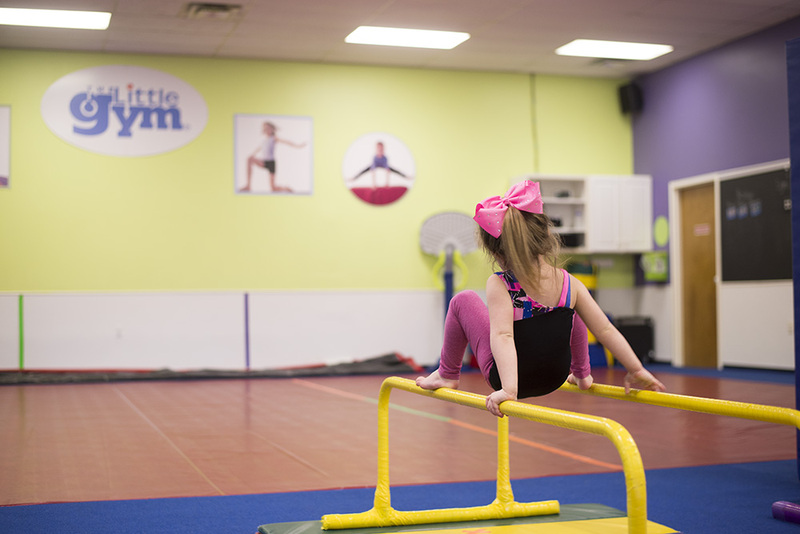 Have you ever tried The Little Gym? What did you think? 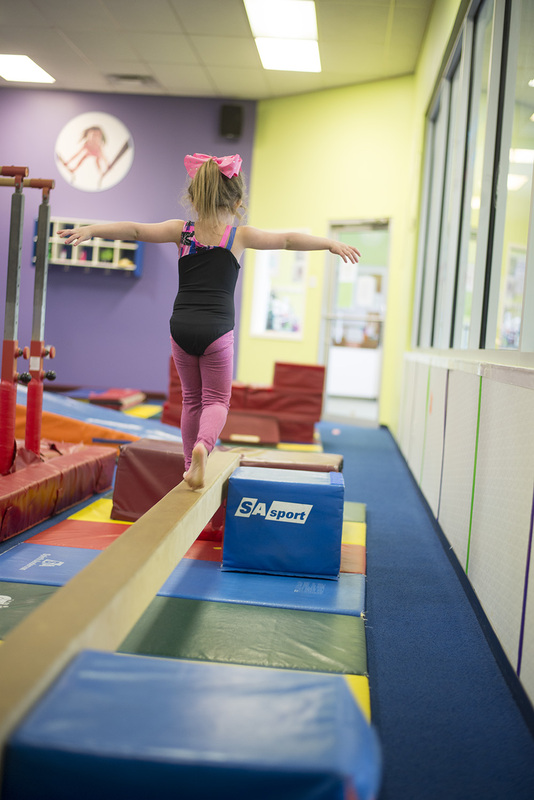 We are getting a Little Gym here soon and I can’t wait to take Emme to try it out! Awww she looks like she had so much fun there! I would love it if we had one close to us. She loves it!!! Maybe they’ll put one in soon!